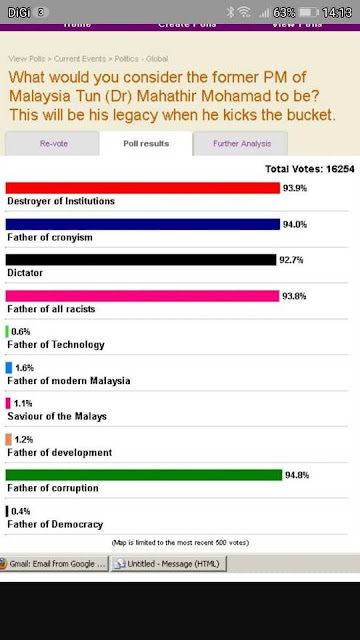 What would you consider the former PM of Malaysia Tun (Dr) Mahathir Mohamad to be? This will be his legacy when he kicks the bucket. Well, apparently the last day for Vizu Polls is on the 21st December 2012. So as not to screw up, I have removed it with effect today. A total of 16,254 people responded.